December is the perfect month for cooking and entertaining. 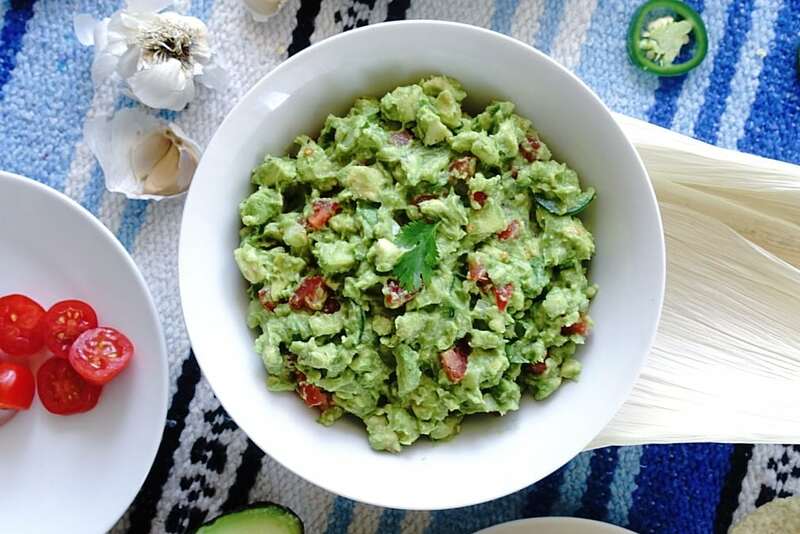 If you’re looking for a fail proof starter, this Paleo Spicy Guacamole will not disappoint. Whether it’s football games, birthday parties, or family gatherings, Guacamole is one of our countries most popular dips. Considering the ingredients, one might think that guac is always Paleo, but that’s not often the case. Some store bought guacs have wheat additives, making them completely non Paleo. 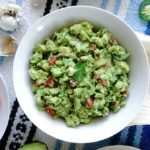 I’ve created a fresh and flavorful guacamole recipe that is perfectly Paleo, and will satisfy everyones guacamole cravings. The most difficult thing about making guacamole at home, is finding the perfect avocados. Once you find the pyramid of dark green, bumpy fruit, it’s all about touching each and every one until you find the ripest avos. You can quickly assess if an avocado is ripe by removing the stem. It should reveal a light green flesh underneath. If the avocados don’t have a stem , you can gently squeeze them in your palm. If the avocado yields to the pressure, it’s ripe. Another guacamole dilemma, is the texture chunky or smooth? I personally love a chunky guacamole, so my recipe calls for a light mix of ingredients. If you like your guacamole smooth, mash your avocados for about 30 seconds with a fork before stirring in the rest of your ingredients. Once you’ve made this recipe, you must consider what kind of vehicle will get this dip into your mouth. 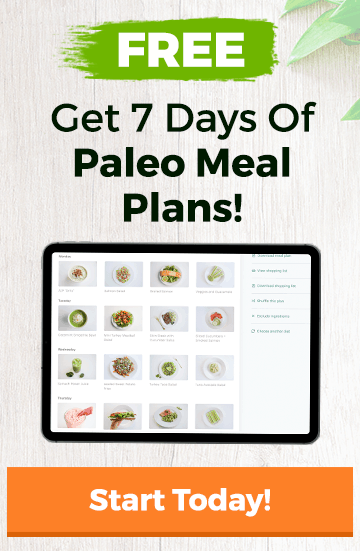 There are a multitude of Paleo friendly chip options you can pick up at your local health food store. I find that cucumber slices are a great guac vehicle, although any of your favorite veggies will do the job. In a pinch, you can just eat the guac off of a corn chip like its a one time use spoon. This is a probable necessity if you’re eating at a non Paleo friendly residence. No matter how you get the good stuff into your mouth, you’ll receive the health benefits of this luscious dip. Avocados are chalk full of heart healthy monounsaturated fatty acids. They contain more potassium than bananas, and they have only two net carbs per serving! The garlic, cilantro, and jalapeños in this power Guac all contain body loving antioxidants that fight free radicals and reduce inflammation. If you’re spice shy, feel free to omit the jalapeño. The tomatoes in the recipe offer up high levels of vitamin C, choline, lycopene, and fiber. With all of it’s health benefits, guac is a great topping for eggs, salads, chicken, burgers and anything else your Paleo heart desires. Try this recipe next time your entertaining. You’ll be sure to satisfy everyone’s guacamole dreams.